Sodium is one of the primary components of table salt. Our bodies require a small amount of sodium on a daily basis but most of us consume a significant amount more than what our bodies need. Excessive sodium intake contributes to high blood pressure which in turn can cause heart attacks, strokes, kidney damage and other medical health problems. Years ago the primary source of sodium was what we added to food at the table via the salt shaker. Today most of the salt is added in the processing or preparation of our daily food as well as in the fast food that many of us consume on a regular basis. Many of us think that if we do not add any salt that we are limiting our sodium effectively but this is often not the case. Certain foods including canned goods and cheese as primary examples contain a significant quantity of sodium which can easily cause us to exceed our daily recommended amount of 2000 mg in just one meal. A simple lunch consisting of soup and a sandwich, for example, can easily exceed 3000 mg of sodium. 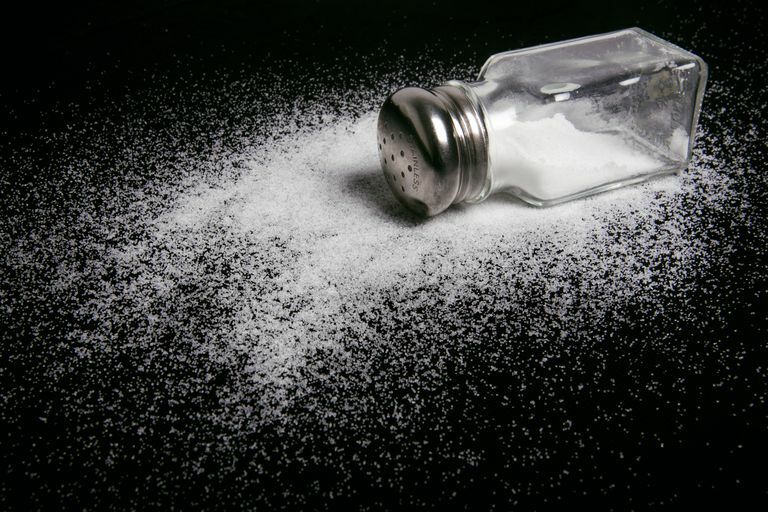 Sodium can also contribute to swelling or edema in patients who have other medical problems including congestive heart failure, lung problems or liver problems. The best way to limit your sodium intake is to read the nutrition information pertaining to your food and avoid processed, pre-packaged and fast foods. Be sure that what you eat is consistent with what a serving size is according to the nutrition information. The standard nutrition information usually pertains to a very small serving size, less than what most of us usually consider a standard serving. If we eat twice as much, we need to double the amount of sodium the package says we are taking in the regular serving. Typically we discourage the use of salt substitutes as they replace sodium with potassium. Too much potassium can be a problem for some patients with kidney problems as well. Salt substitutes still encourage our taste buds to desire or want high sodium foods. By limiting sodium intake some foods which had once been “favorites” can now taste so salty that we can’t eat them. When patients tell me their “old favorite foods” are now too salty I know they are doing what we recommend – limit the sodium intake to 2000 mg per day. This amount of sodium is roughly equivalent to a teaspoon a day, contained within the food we eat. This does not mean to add a teaspoon of table salt per day to the food we eat. We recommend the use of herbs and non-salt containing spices to add “flavor” to food.